Yuyao shuisenhuo sanitary ware factory always abides by the business strategy of "high-quality productions & reasonable price",the service concept of"showing respect to you& try our best",and the professional spirit is"honest,innovation,enthusiasm,sureness"to provide customers the best products and services. 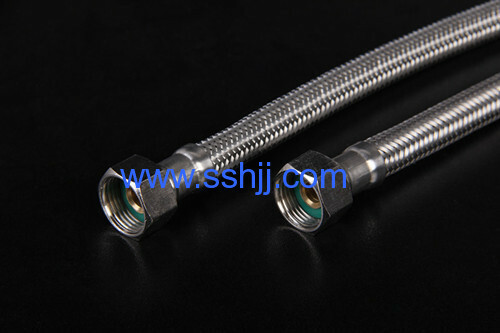 We can supply the stainless steel braided hose for water and for gas .we also supply the stainless steel shower hose and the pvc hose and so on . IT'S CAN BE CHANGED THE MATERIAL WITH ALUMINIUM WIRE. 10.Package: Simple plastic bag ,DOUBLE BLISTER ,ECT..